MARY APPRECIATES YOUR LETTERS! Mary will read but is unable to respond to individual e-mails due to her busy schedule writing and with her Classroom Adventures Program. 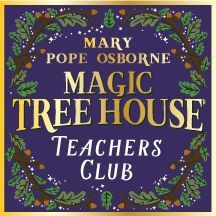 SKYPE AND SCHOOL VISITS WITH MARY POPE OSBORNE are not possible at this time due to Mary's schedule. 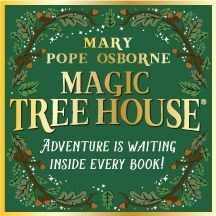 Visit our Magic Tree House Facebook page to keep up to date on Mary's occasional book signings and appearances. REQUESTS FOR DONATIONS AND OTHER SPECIAL REQUESTS: Mary's Gift of Books only awards grants to Title 1 educators and is not able to make any other donations at this time, including signed books. BEST WAY TO REACH MARY POPE OSBORNE? TWITTER! Be sure to tag Mary when you tweet, she will often retweet your tweets! Thank you for visiting Classroom Adventures Program! If you have a Classroom Adventures Program or Gift of Books specific question, please complete and submit the form below. Please read the above information before submitting your inquiry as your question may be answered above. If you, your child, or student would like to send a note to Mary, please use the Penguin Random House address above. PLEASE NOTE: Mary is unable to respond to e-mails sent through this website. fiction and nonfiction and have inspired its authors for over 25 years!